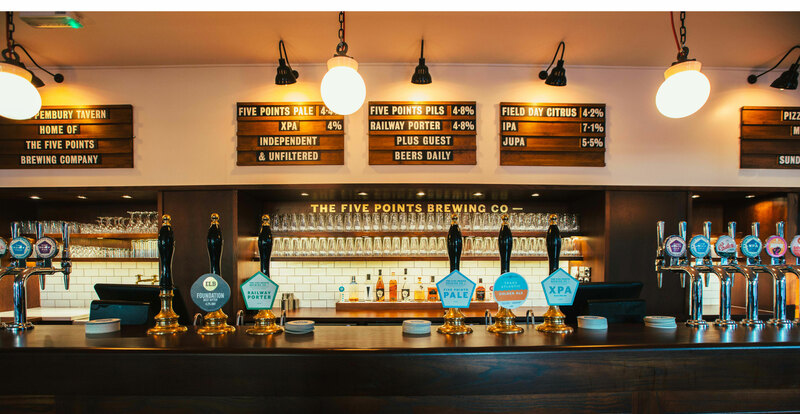 Legendary Hackney boozer now under the stewardship of The Five Points Brewing Company. 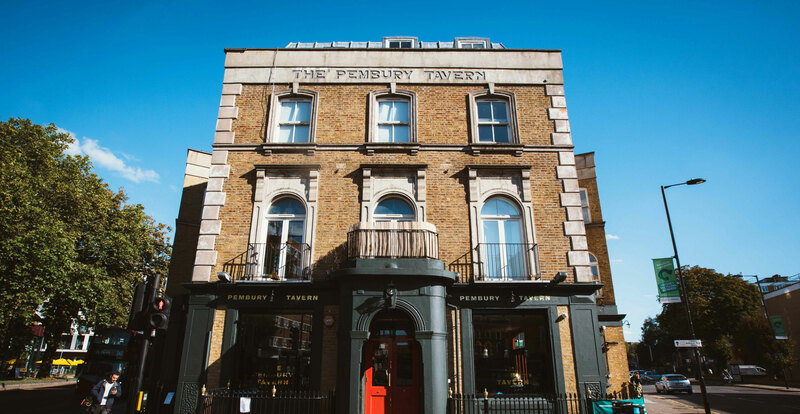 Located in the heart of Hackney, The Pembury Tavern sits between Hackney Downs Station and Hackney Central Station, directly opposite the Five Points brewery and on the landmark ‘five points’ junction from which The Five Points Brewing Company takes its name. 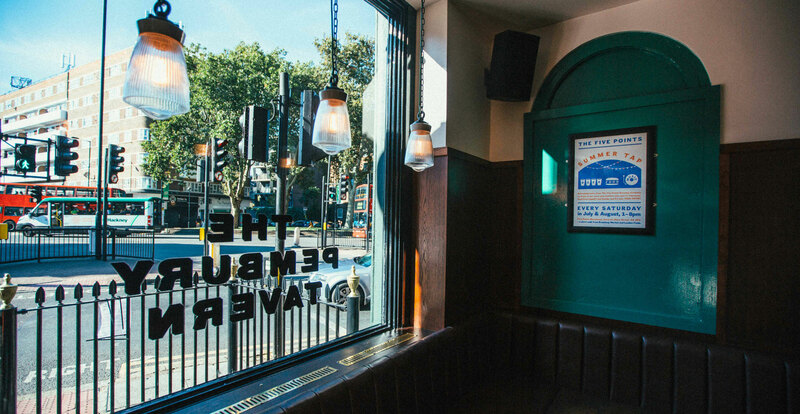 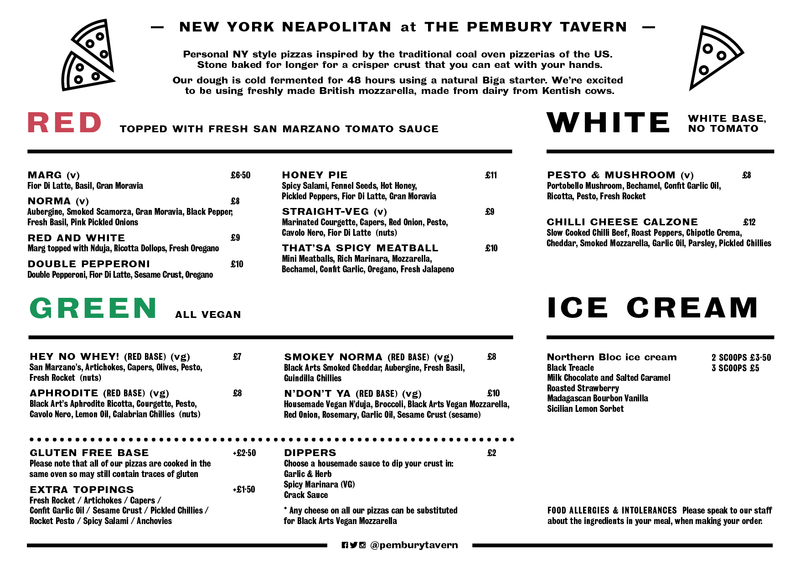 The Pembury Tavern was relaunched in Autumn 2018 following a five week long refurbishment and restoration. 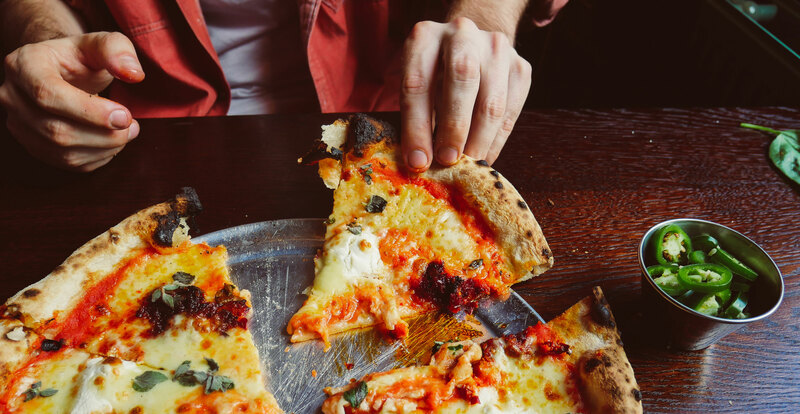 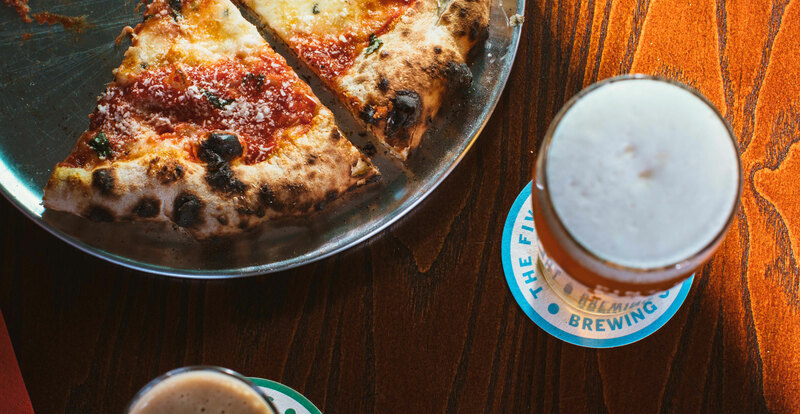 Expect 22 lines of beer across cask and keg, a selection of wines, spirits and soft drinks, a delicious New York Neapolitan pizza menu and hearty Sunday roasts. 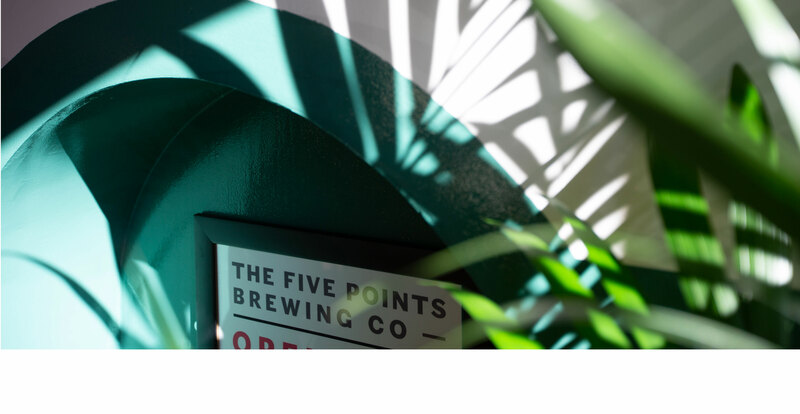 Keep up to date with our latest plans, new beer releases and upcoming events. 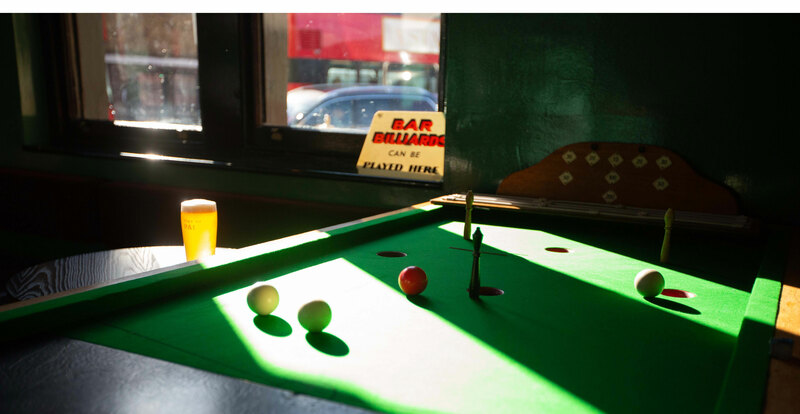 We’ll let you know when we’ve got something to shout about. 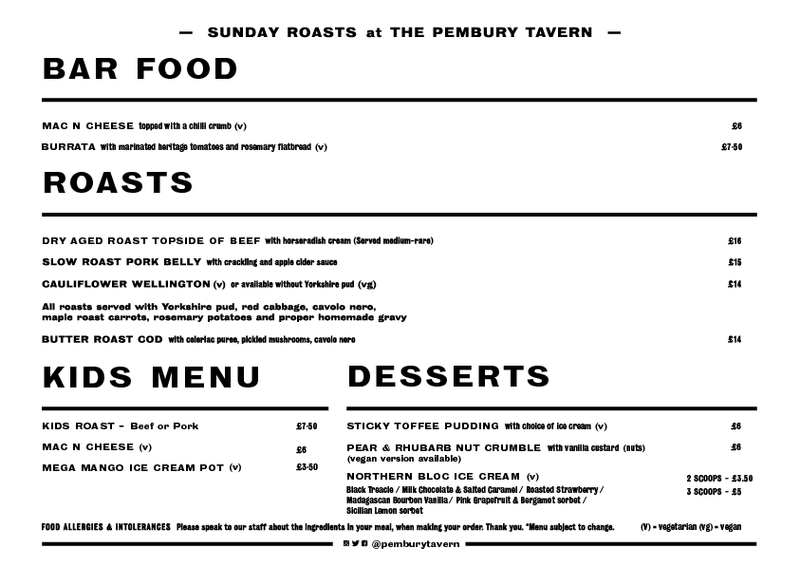 Our kitchen opens at 5pm during the week and 12 noon on the weekend.